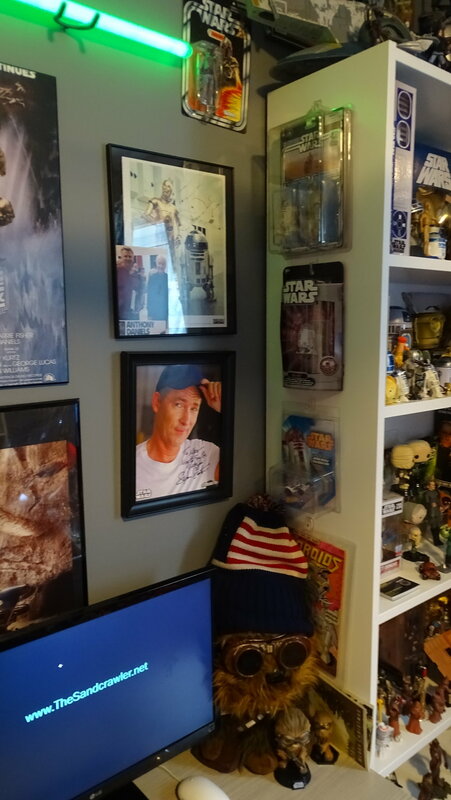 Star Wars-wise, the end of 2018 was a busy time for me as I spent a ton of time with my collection. 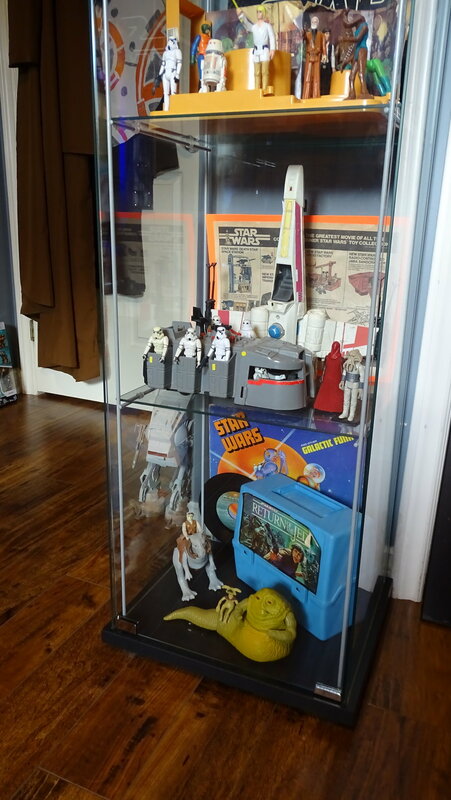 I accomplished two things; I did some real diorama work on my Rebel base display, which you can see and read about BELOW and second, I more or less “finalized” the big renovation that started back in September. 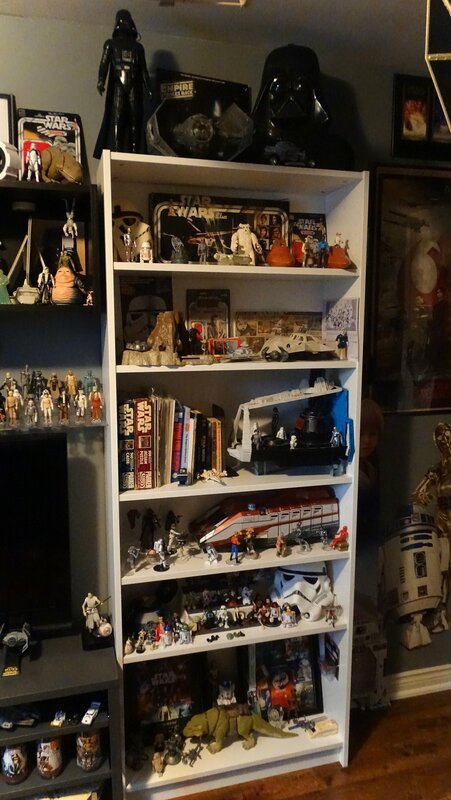 That was when I swapped out a bunch of mismatched, old bookcases for new white ones. See that transformation below as well. 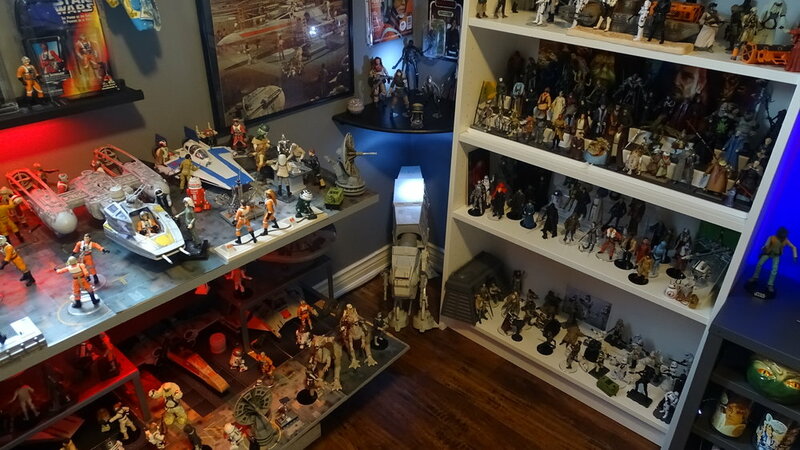 Between that big move and the expansion of my Rebel base display, I spent the past few weeks basically finding a home for everything again. 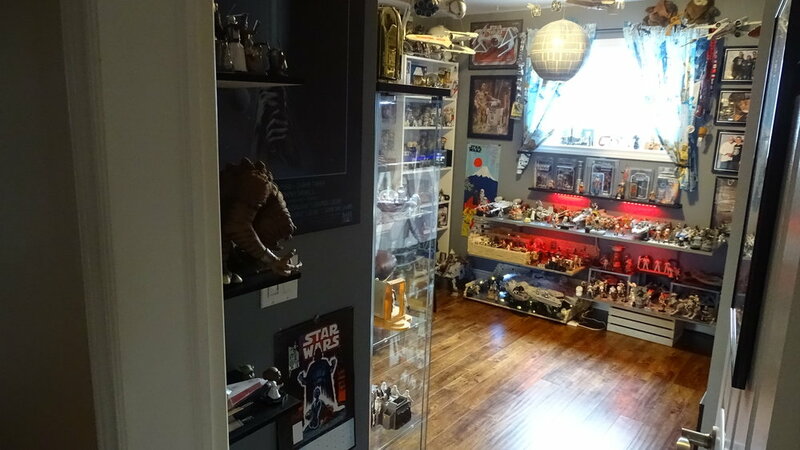 And also coming up with plans for the future as I’m just about out of display space in my Star Wars room. 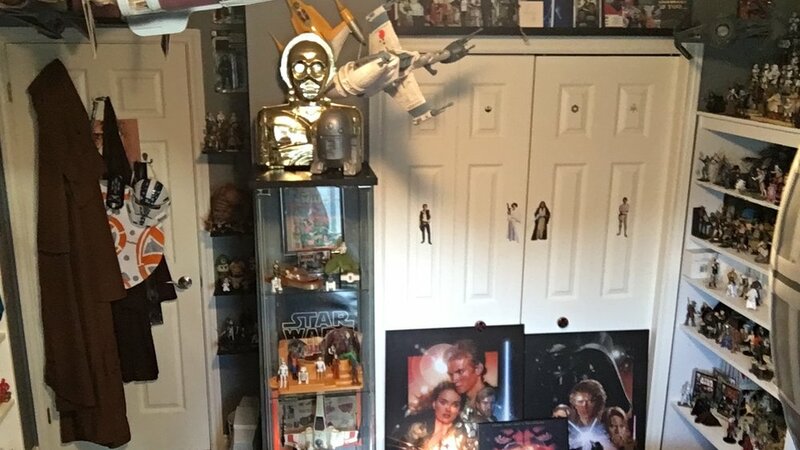 One thing that is different from the “old” room and the “new” room is that for the most part I eliminated much of the background items I normally used on my various shelves. 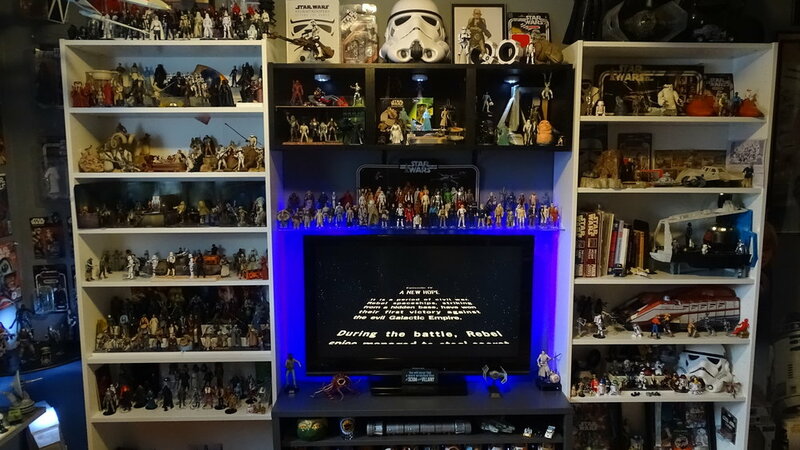 So instead of artwork or prints or advertising, most of the shelves just feature action figures on a white background. 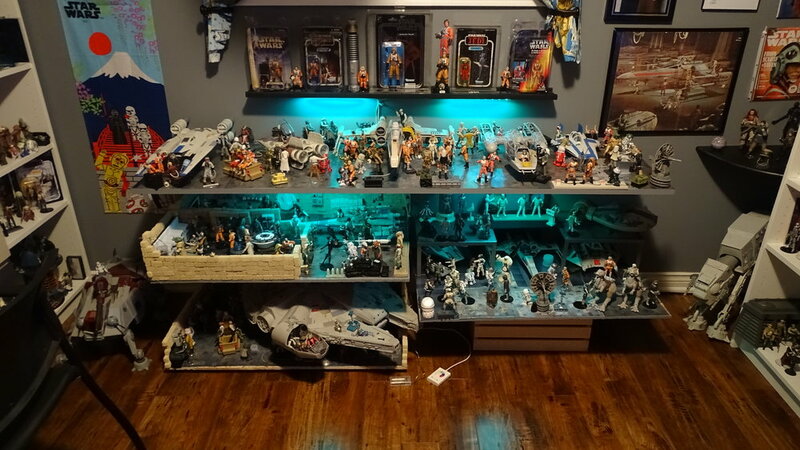 The main reason I did this was simply to get the figures back on display as quick as possible when I swapped out the old furniture for new. What I found with this starker look is that I’ve come to appreciate the action figures themselves as they just stand out better against a white backdrop. I’ll be taking my time doing this though, I’m still enjoying the new bookcases and will revisit each display as I’m able to. 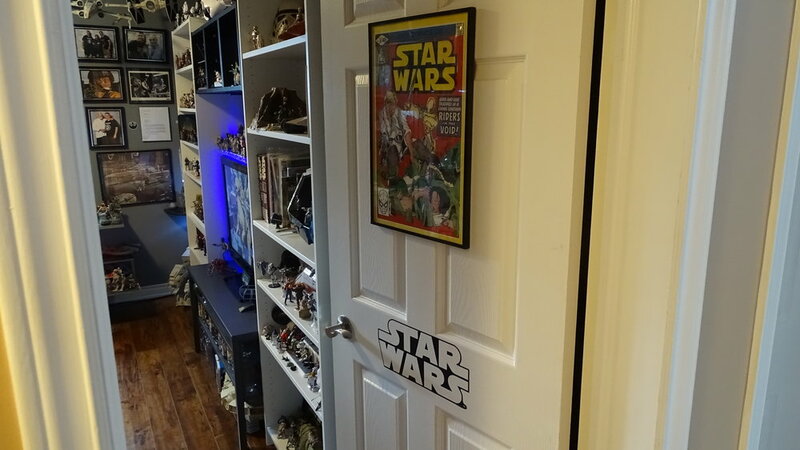 It’s been a long journey getting my Star Wars room to this point, thanks for listening to Dan and I on the podcast as we talk about stuff like this and I hope you enjoy the photos. 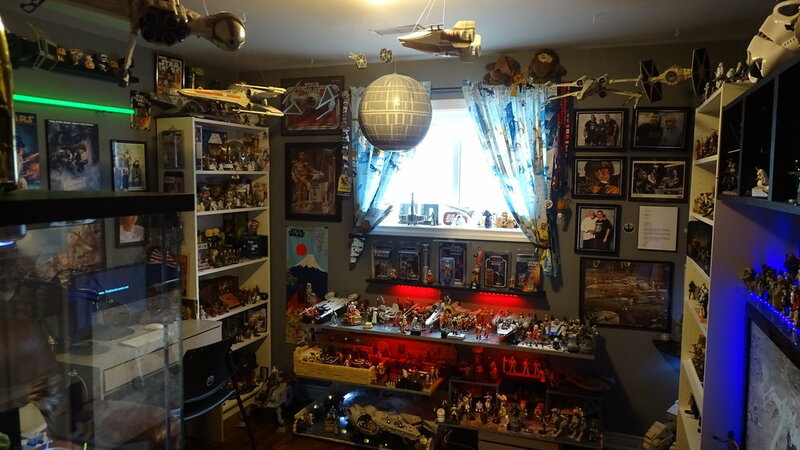 Please share your Star Wars room with us! Click on any image to see a full-size photo slideshow, click the photo to advance. Drag the mouse down to see comments on the photos.